The annual Pony Ride is kicking off at Ponysaurus! Join in for a 5-8 mile ride at a leisurely pace, then finish off at the brewery for a cold beer as they raffle off some epic prizes. It's time for the Pony Ride again! A big thanks to Tyler from Bike Durham for creating such awesome routes and leading an amazing ride, month after month. Gather at 7:00 PM at the Bull in downtown Durham. Enter for a chance to win a $50 bar tab at Ponysaurus and a $20 GC for Chirba Chirba Dumpling! *Get your free raffle ticket at the Bull before the ride and be present at Ponysaurus at the end of the ride to win. Limit one ticket per participant. The Pony ride is a social, leisure ride that begins at The Bull in Downtown Durham and after winding around downtown will end at the Ponysaurus Brewing Co. taproom and beer garden for pints, dumplings from Chirba Chirba and a chance to win prizes and hang with good folks. Pony ride happens on the second Tuesday of each month. Awesome bike shops also involved: Durham Cycles, Bullseye Bicycle, & Seven Stars Cycles. 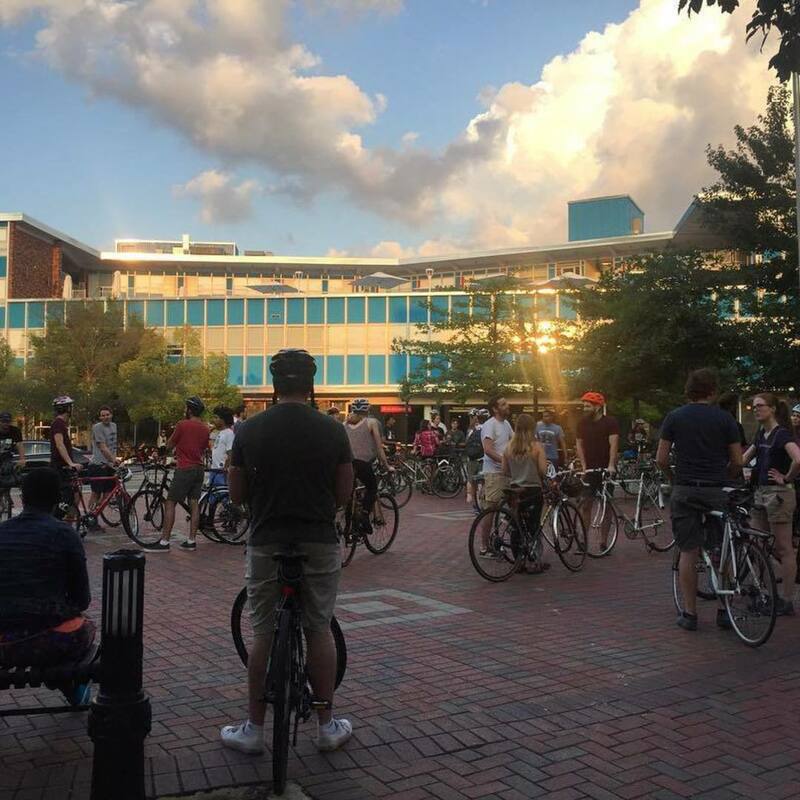 The goal of The Pony Ride is to raise awareness of cycling and cyclists on the road in Durham, foster the cycling community and provide a fun easygoing social environment for people to come together, ride bikes and enjoy great beers, good food, and Downtown Durham. Celebrate the awesome city we live in, the great people that live here, and the joy we all get from getting outside and riding bikes! This is a social ride, and riders of all levels are welcome."